Learn the basics with the quiz below. Want to know more about the country famous for couscous? Start here. Morocco is located on which continent? Morocco is in Northern Africa and shares borders with Algeria on the east, Spain to the north, the Atlantic Ocean to the west, and the territory of western Sahara to the south. Morocco is approximately ____ square miles. At 173,000 square miles, it’s a little bit larger, and roughly the same shape as California. 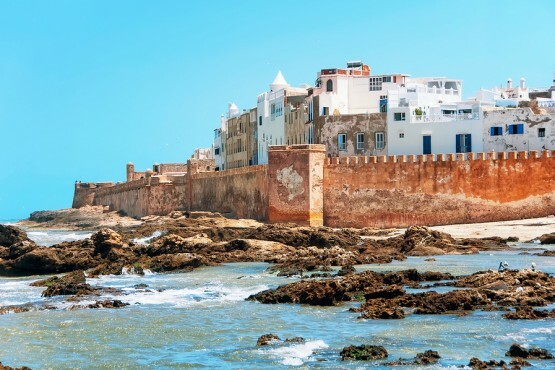 The capital of Morocco is______. Rabat, in the northwest part of the country, became the capital in 1956 when the King chose to maintain the city chosen by the French as the seat of government. Casablanca, the main port city, is the largest city in the country. Which of the following cuisines did NOT have an influence on Moroccan meals? Morocco is famous for its cuisine and its influences can be found in Mediterranean, Middle Eastern, African, and Arab food. The most popular and commonly known Moroccan dish is______. Couscous, something like a grain that’s a cross between rice and pasta, is made of durum wheat and is usually served with a meat or vegetable stew. Moroccan food is famous for being_________. Moroccan food, with its many influences, incorporates many spices. But not all dishes are necessarily hot. Some commonly used spices include cinnamon, cumin, turmeric, ginger, pepper, paprika, and mint. Which of the following heritages have not been a part of Morocco? Throughout Moroccan history, various groups have dominated and each has contributed in its own way to the culture. Germany, however, is not one of them. Moroccan music is known for its explosive drum beats. What is the name of the traditional drum that provides them? The Darbukka is a terra cotta drum which is shaped something like an hourglass and is prominent in many middle-eastern cultures. In general, Morocco’s most popular sport is_______. Though Moroccans would call it football, soccer is the most popular sport. Traditionally, sports that involved horses, like polo, were prominent. You know The Clash song, “Rock the Casbah?” What exactly is a casbah?